Pumpkin lattes are back, my sandals are away, so I should have written this a month ago. 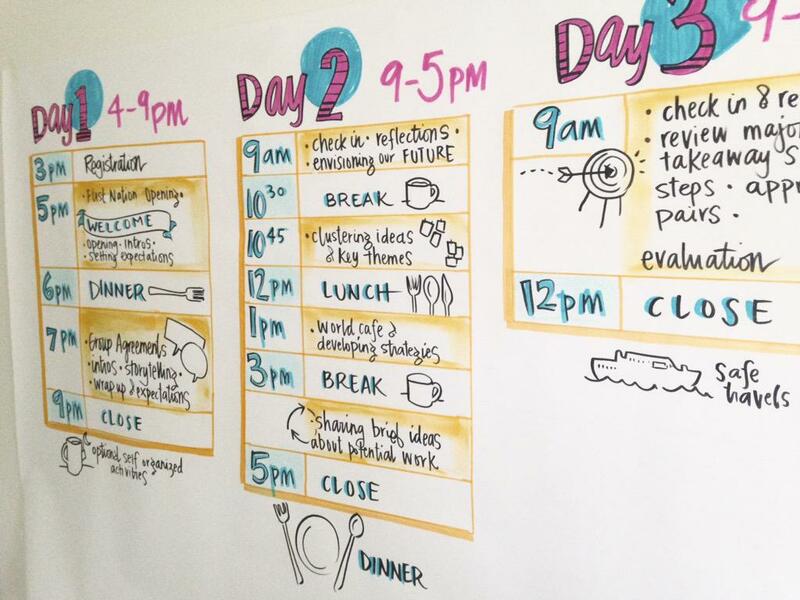 Here’s a quick recap where graphic facilitation has recently improved meetings and processes in the health, government, education and non-profit sectors. 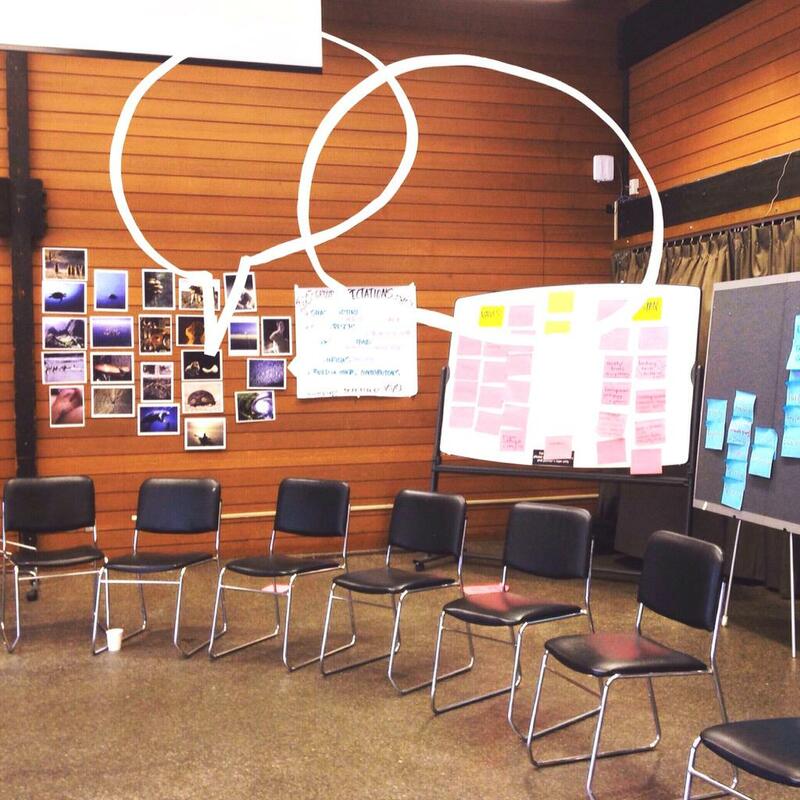 – Designed and facilitated the first retreat for the new Centre for Indigenous Studies at the University of British Columbia. 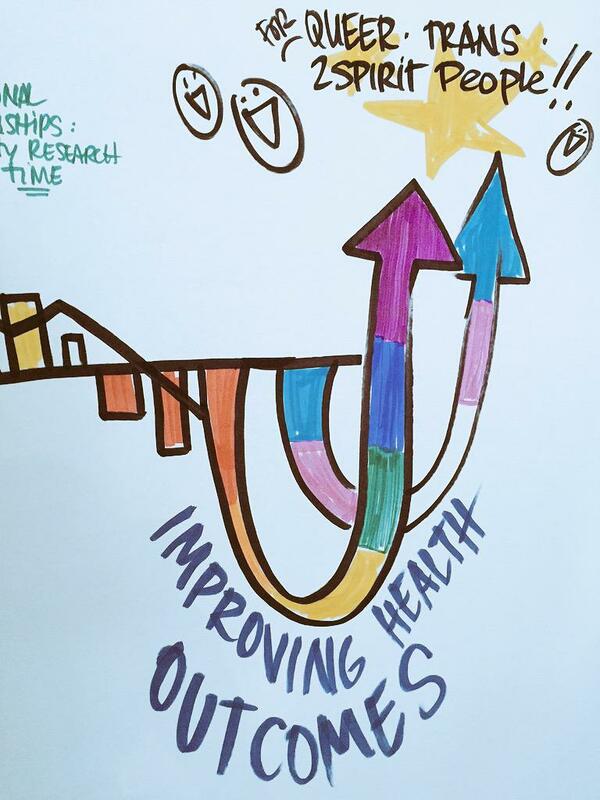 I heard powerful stories about the value and impact of research that’s accountable to community. – Graphic recording at the Farm Folk City Folk strategic planning session with staff and board – a extra little pro bono work resulted in tickets to their annual fundraiser at Feast of Fields! Yum! Eating is my favourite. 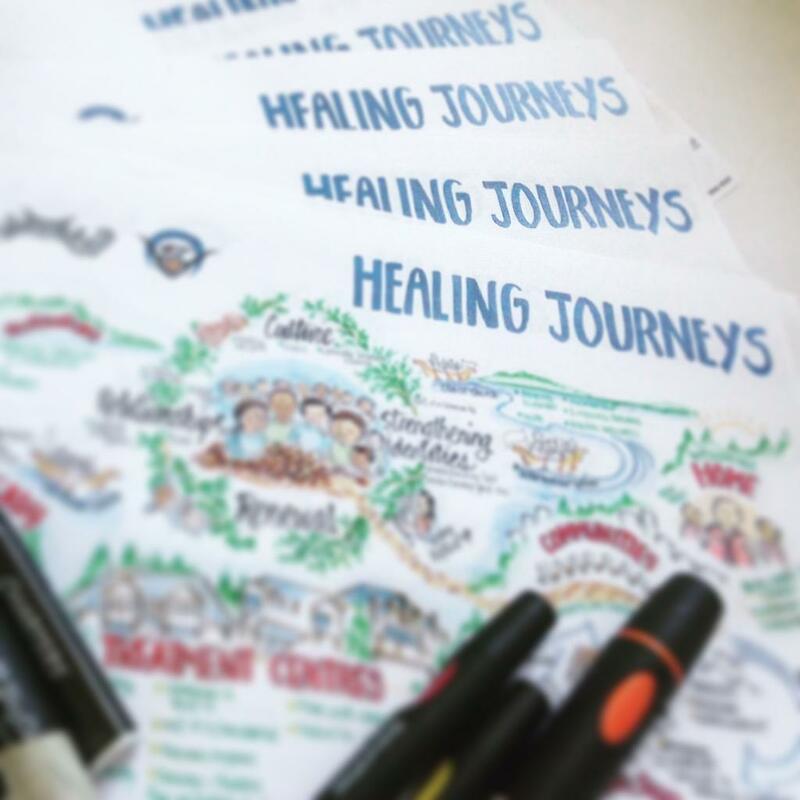 – Patient Journey map for Reciprocal Consulting and the First Nations Health Authority. First, I facilitated a staff engagement that mapped out the learnings from a program evaluation process. Then, I transformed this draft/live map into a final graphic that was used along with their report. 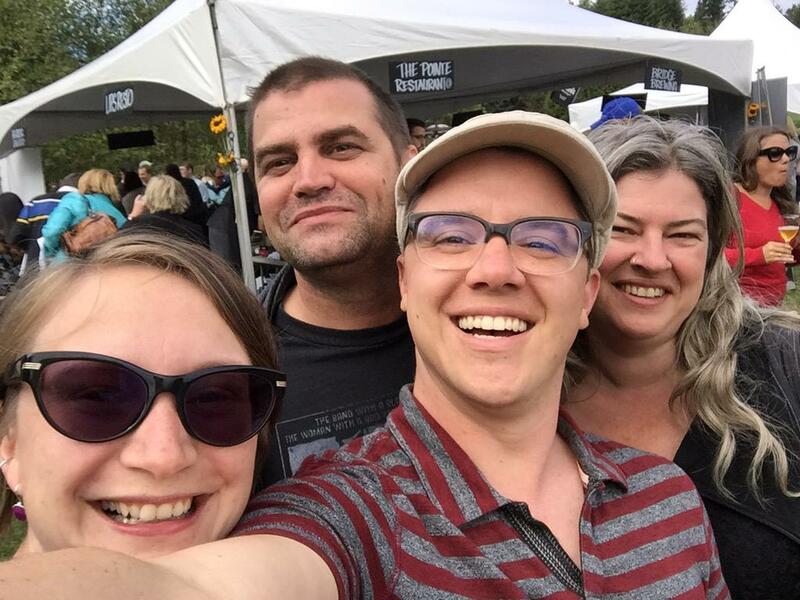 – Co-facilitation with Suzanne Hawkes of a 3-day Health Equity forum for queer, trans, and two-spirit people in BC. The work is towards building Collective Impact. My biggest takeaway is how the foundation of any of this work has to be about trust. Because “progress happens at the speed of trust”. – Canadian Union of Public Employees BC (CUPE BC) Think Tank conference. Graphic recording keynotes, designing group work and building in a gallery walk of the graphic recordings to make this event as interactive as possible. – City of Vancouver invitation-only events about Renewable Cities and a research dialogue. Hearing a room full of people working on a warm summer night, talking about renewable energy really does good things for one’s heart. And hope. – New coaching clients (for graphic recording) demonstrating how positive reinforcement and practice really pays off. Amazing improvements!